Transifex (www.transifex.com) is a translation and localization management tool which I like to refer to as “Github for translation”. If you’re not a software developer, Github is a version control system that makes it easy to keep track of software development projects, and track who is working on which pieces of an application. Transifex makes it easy to keep track of localization projects, so you now which documents or files have been translated to which languages, all via a single, centrally managed repository. Transifex was founded by Greek entrepreneur Dimitris Glezos in 2008, and has since grown to become the leading open source translation and localization management service. 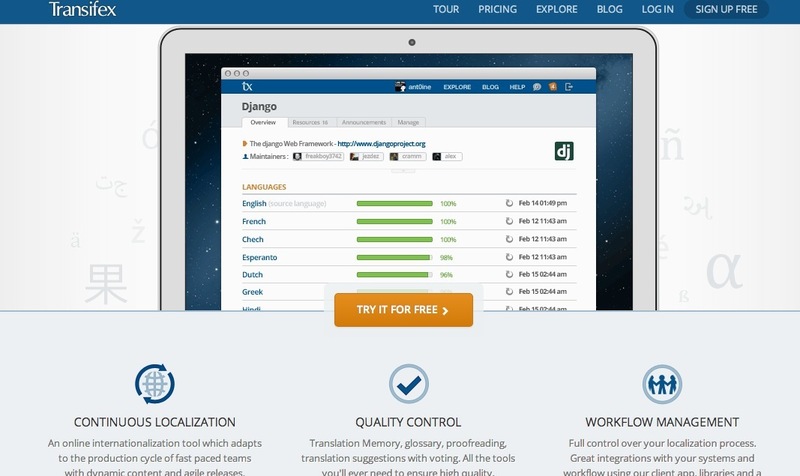 Major open source projects, such as Firefox, Fedora, and Django use Transifex to manage their translator communities, and to store translations for their applications. Transifex provides developers and localization managers with a powerful yet easy to use version control system. One of the biggest headaches in translation and localization projects is keeping track of source material (prompts, documentation, etc) and insuring that the translations are kept in sync across languages. Most companies do this manually, for example using spreadsheets, which is wasteful, error prone, and just plain not fun. With Transifex, you upload your source documents (the system supports most localization file and document formats), and then translators and reviews log into translate texts into the languages they speak. As a project owner, you can control who has access to which projects, which languages they can translate to, and more. Once the translations are done, you can then export the translations in the file format of your choice (or integrate with Transifex’s own web services API). Developers will appreciate the existence of a powerful command line client (similar to Git) for mass operations on files and a rich web services API. In addition, the system enables you to mix and match different types of translation services including machine translation, your own users or translators, and highly automated translation services such as Gengo. Transifex was designed by software developers for software developers, and this is where it really excels. If you’re a software developer, you know how valuable a good version control system is, especially when you have more than one person writing and maintaining code. Transifex brings similar processes to translating your prompts, documentation and website content, and turns what was once a disorderly and inefficient process into a simpler and less error prone process. 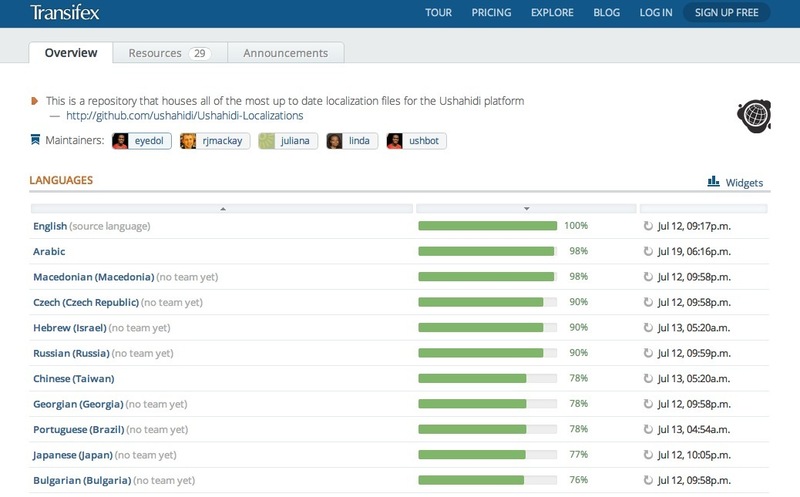 The service is offered as a hosted solution, similar to Github, and is very reasonably priced. At the moment, Transifex is rather unique in the marketplace. Their competition is mostly home grown solutions that companies have built in house because they had to. While it competes in some ways with enterprise translation management systems (TMS), their focus is on software and web service localization. The company is also committed to open source software, and hosts open source projects for free (similar to Github, where public/open source projects are hosted for free, and only proprietary software projects pay for hosting). This entry was posted in game localization, localization, mobile app localization, reviews, version control and tagged git, github, transifex. Bookmark the permalink. These writeups are really helpful, thanks for making these available!